Lee Doran started out as a middle-distance runner when his parents took him to the local Carlisle Aspatria club at the age of 10. After a couple of years of trying many different events, his sister, Colette, had been throwing the javelin and he decided to give it a go. In his first year of throwing the implement at the age of 12 he was ranked No.2 in the UK behind Edward Dunford. Up until around the age of 18, Doran was only training around three times a week, which consisted of throwing, technical drills and jogging and sprinting on the track. 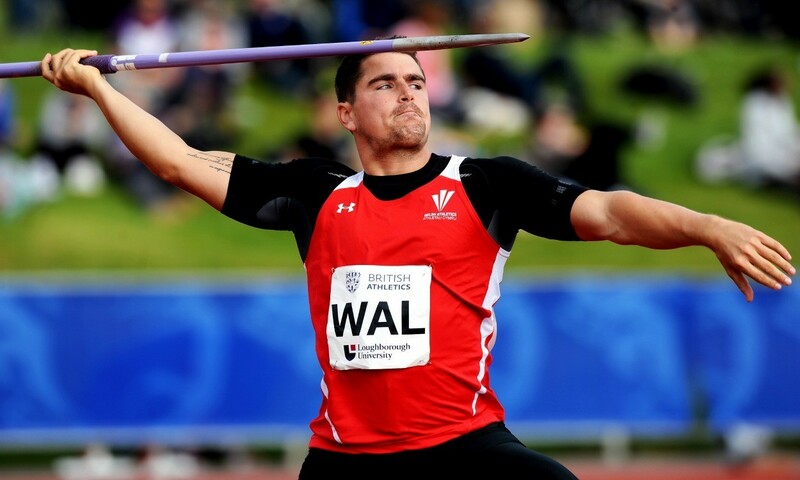 Doran adds: “I believe that an athlete shouldn’t specify in one sport too early and I always carried on with other things around my javelin such as football and cricket. However, around the age of 18 I started to specialise more in javelin, but would regularly play football at a weekend. The David Parker-coached thrower says his training has changed markedly over the past four years. He interestingly says: “I’ve picked up so many things from different coaches and have adapted my training accordingly, especially after the 2010 Commonwealth Games. Just little things such as medicine ball being at a higher intensity and making sure every single rep was as explosive as possible, rather than having high volume where throws would become slow. When asked about his capabilities, he answers confidently: “I was capable of 80m-plus back in 2012, having thrown 79.72m with an injured ankle. I got through the Olympic Trials after having pain-killing injections, but afterwards I had to have surgery due to the issues I was having. The timing couldn’t have been worse and my season had to be cut short. “Last year was difficult, but now I’ve had an almost full winter block behind me I’m now starting to hit the highs that I was in 2012 in the gym, the runway and my explosive testing with the medicine ball. So what is his favourite session? Doran says coyly: “I know as a javelin thrower I should say throwing, but I do love my weights sessions. The whole atmosphere in the gym is just fun and energetic when you hit personal-best lifts.